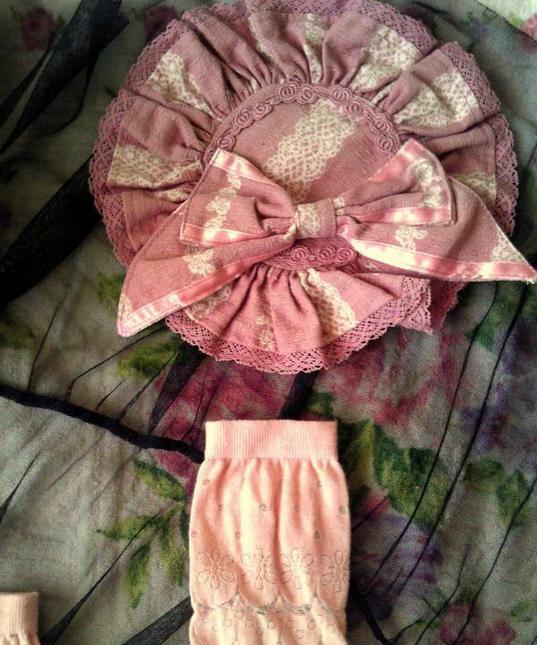 Set of 2: Innocent World Stand Collar Blouse and AatP Victorian Card Circular Headdress for $7 *Final Listing! 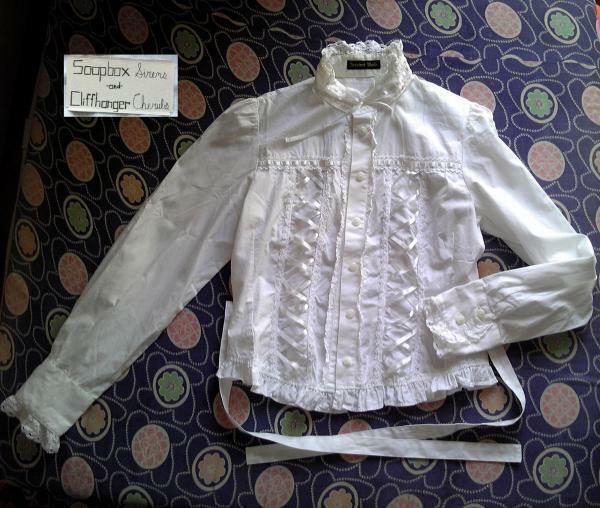 -Innocent World Stand Collar Blouse has corset lacing sewn into two columns and a high collar. The horizontal lace pattern is on the back of the shirt. Condition is Good, but see photos. -AatP Victorian Card Circular Headdress: Has a mark on the ribbon and is missing the flower corsage, so the condition is Good/Minor Damage. The picture with part of a sock in it is closet to the actual color. Also, I bought this from Closet Child and it has a faint smell.